Welcome to the Visions in Thread Web Site! My latest exhibition of textile art is at Palace Art Gallery, Esplanade, Redcar. A very fitting place for an exhibition called 'Beginnings and Endings as Redcar is at the end of land and the beginning of the sea. Click here for more details. 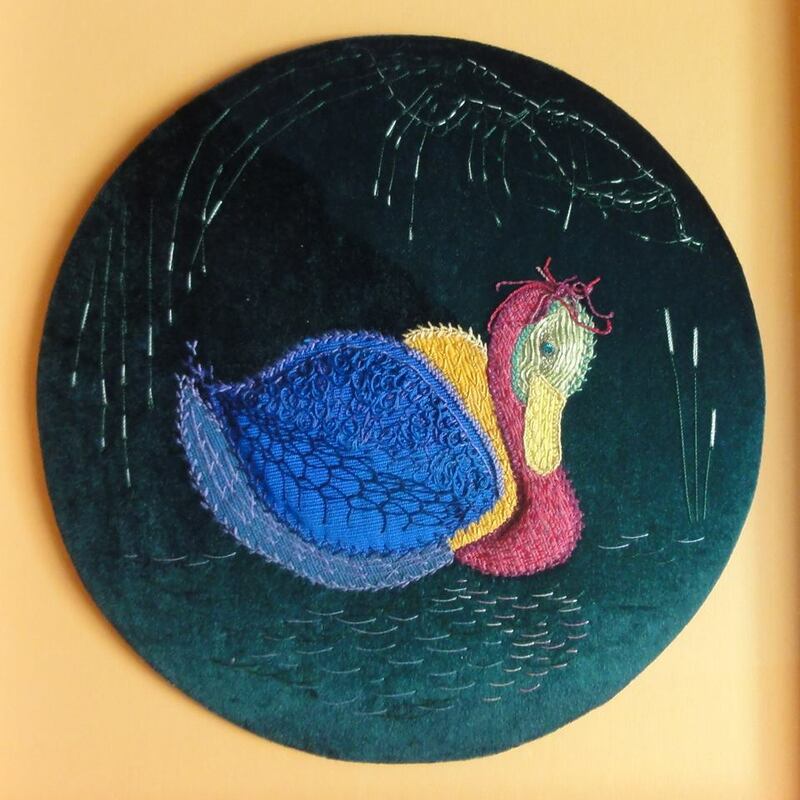 The web site is a show-case for the work of textile artist Helen Winthorpe Kendrick. Helen enjoys working in a wide variety of media and genres. She has exhibited in many areas througout England. A list of some of her past exhibitions are available for you to look through here. Some of the work you can see in the main gallery is for sale and if you wish you can contact her through the contacts page. If you are interested in Helen's book, Stitchopedia, you can find more information here.